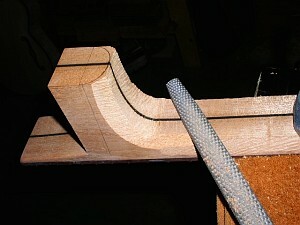 The fingerboard is planed to thickness and arched. 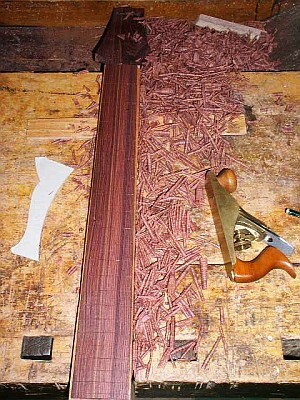 After fretting, the neck is shaped. 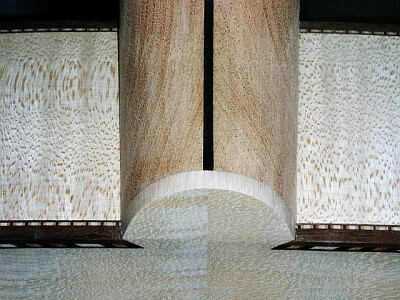 The binding is inlayed into fitting cavities around the top and back. 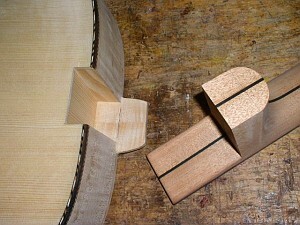 The neck joint should fit snuggly. 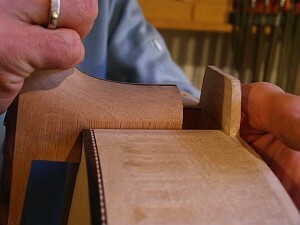 After gluing neck and body, the heel is shaped and the back is bound with inlay. 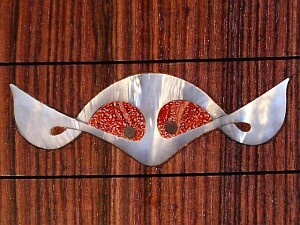 In contrast to most other archtop jazz guitars this instrument does not use a dovetail joint. 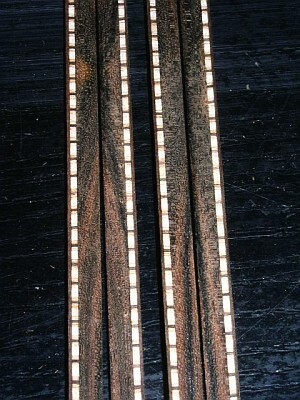 The neck heel makes contact with the back. 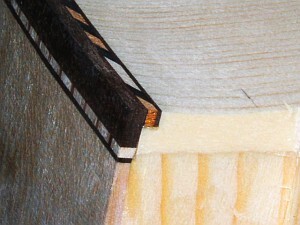 String tension is thus passed on to the back plate.